where behind every Medina wall the winding alleyways give way to bustling souks filled with cotton, hammered brass, carpets, pottery, and outstanding leather choices, enveloping the visitor with a wonderful sensory overload. 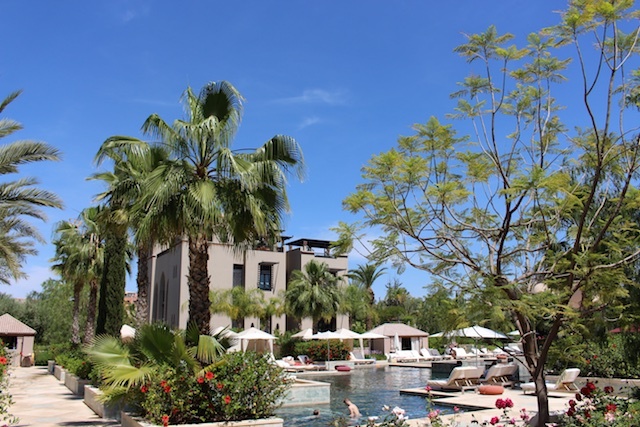 Explore the usual and unusual in Marrakech with Virginie Vaillant, the Public Relations Manager at the Four Seasons Resorts Marrakech who shares her personal ‘Marrakech Musts’ in our ‘Like a Local’ City Guide: Marrakech. 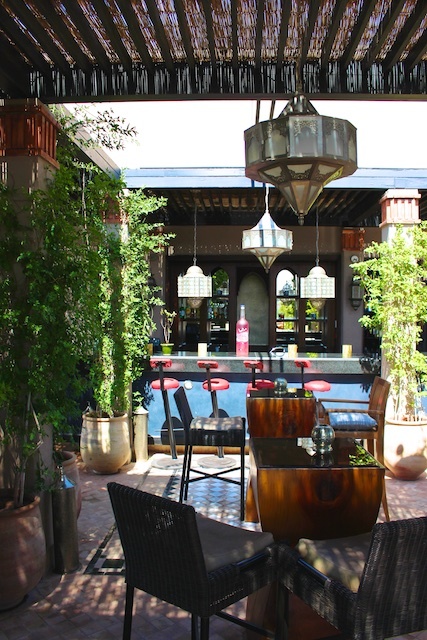 Marrakech Must Shop: What are Virginie’s favourites? The Grand Bazaar? Specific souks? 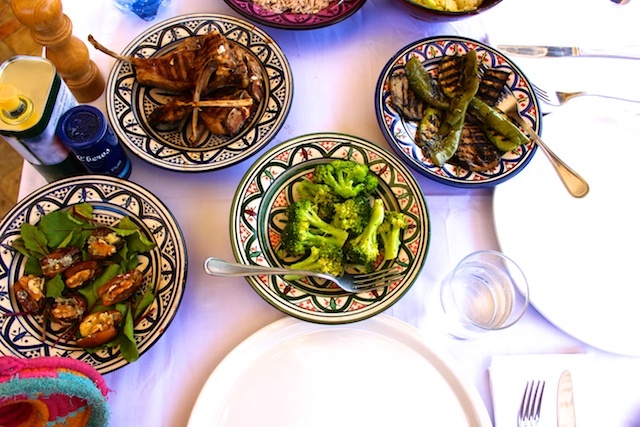 Marrakech Must Explore: neighbourhood? Mosque, Gallery? 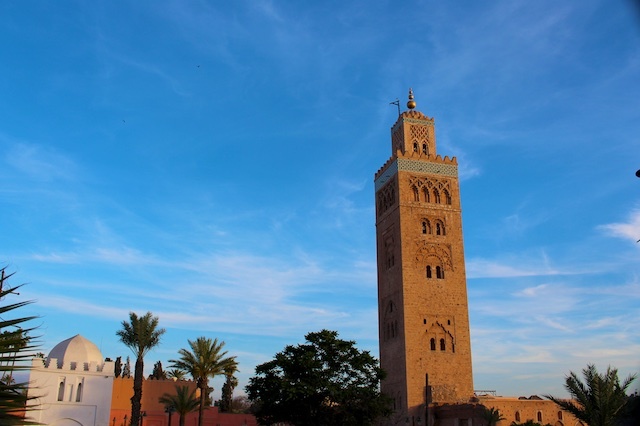 Marrakech Must See View: What are Virginie’s favourites? Anything secret or hidden away? Cascade d’Ouzoud: “A travel day to the Cascades D’Ouzoud Waterfalls high in the Middle Atlas is just a few hours drive from the city and one of the most photographed in this lush, green oasis. 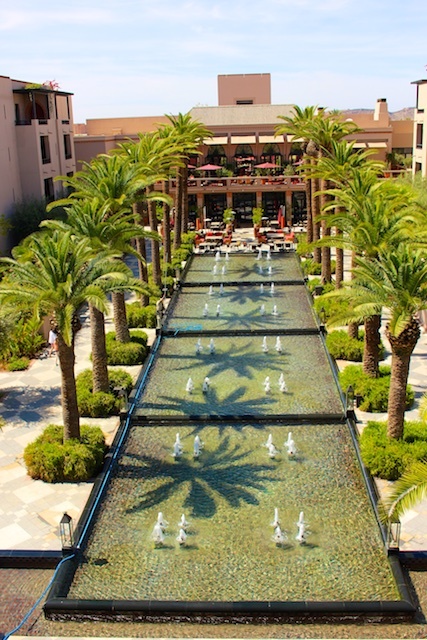 Our own followsum mer ‘Marrakech Must’ is to grab a drink or lunch around one of the pools at Virginie’s very own Four Seasons. We indulged our luxuriant side over drinks in one of their opulent public spaces, enjoyed their renowned service, splendid surroundings, and white glove attention. I loved the Cyber Parc. Strange name but amazing city park. A lot of locals hang out there and play authentic street music, which is better and less invasive (gimme money) than the hectic medina entrance. never made it to the Cyber Parc!